BIGGEST and BEST MILITARY MUSEUM EVER! 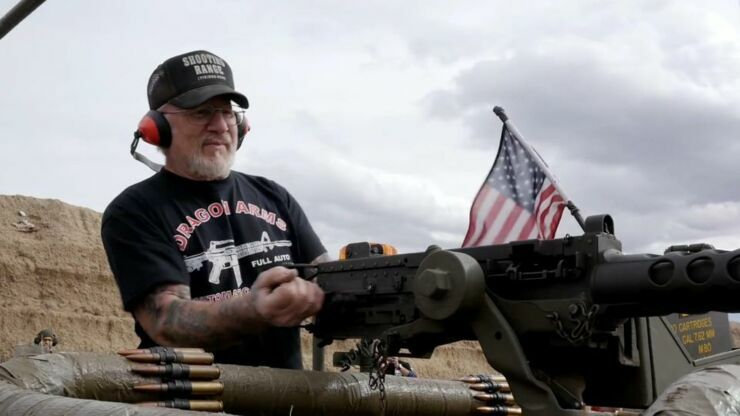 Meet Dragon Man who calls himself the "most armed man in America" and with a weapons cache that includes over 3,000 weapons he might be right. 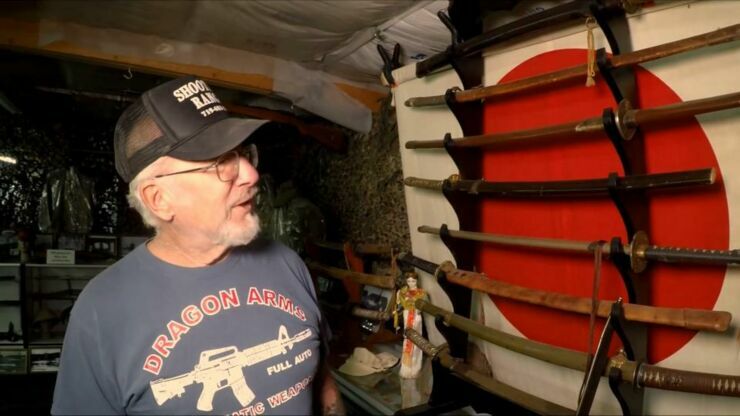 His epic private collection includes 200 machine guns, samurai swords, tanks, 100s of hand grenades, bazookas, and bombs, a firing range, paint-ball course, and even has a room for every country that has fought a war with America from World War One to Afghanistan. 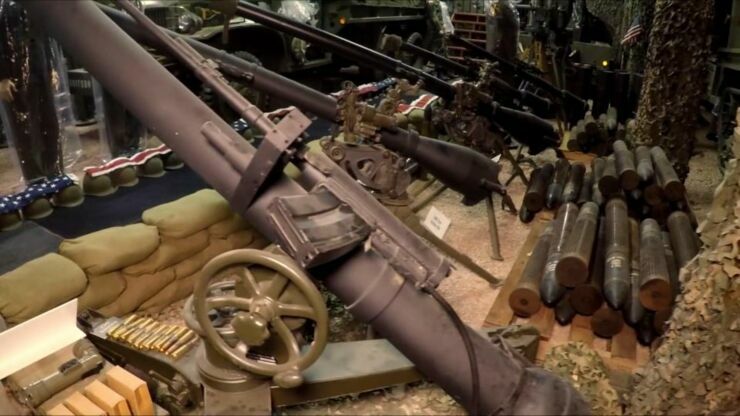 This huge arsenal is all stored in a 65,000 square foot museum in El Paso County, Colorado. 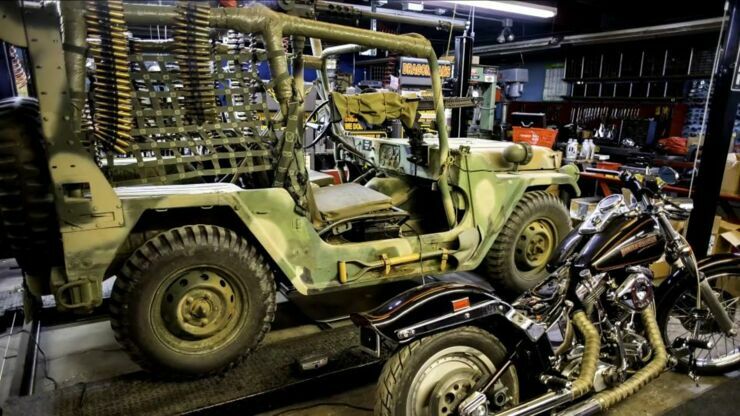 In a 20 minute documentary, which has recently been uploaded to YouTube by Hot Brass and Bullets, Dragon Man (aka Mel Bernstein) gives a tour of his many weapons, 88 military vehicles—like a World War II armored personnel carrier—and 900 mannequins in military uniform . All this resides on what he calls Dragon Land, his 260-acre home in El Paso County. 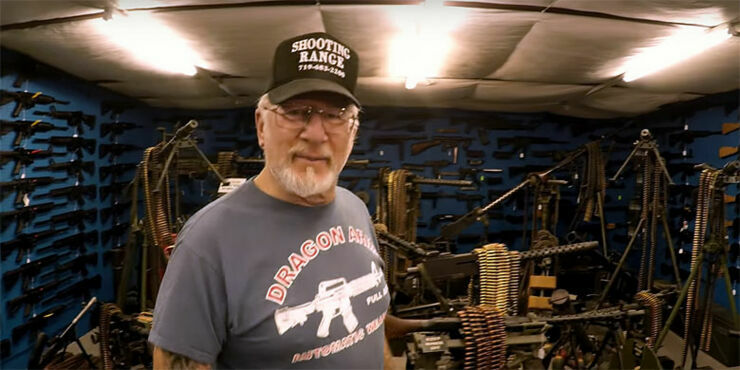 Also there is a firing range, paint ball course, World War II replica bunker, Nazi room (filled with swastikas and machine guns), and a store which, due to his Class III federal firearms license, lets him sell high-powered rifles. As you'll see from the video, he's very proud of his collection which Dragon Man claims is worth millions. "It takes him two hours to guide visitors through the Wal-Mart-size complex stocked with a collection he says is worth upwards of $10 million, with memorabilia from World War I to Vietnam." reports Colorado Springs-based The Gazette. 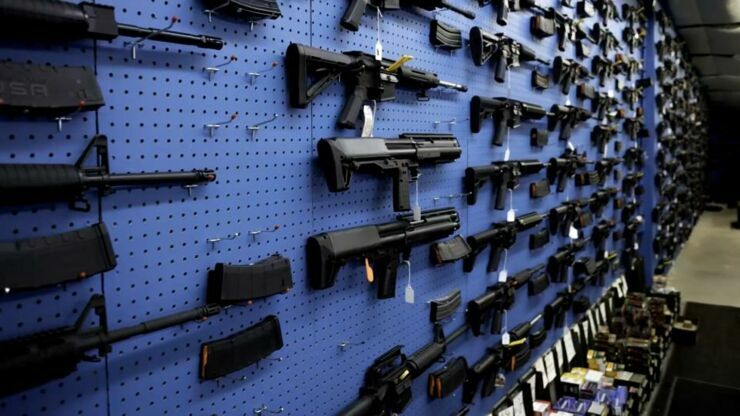 It's a gun lover’s paradise, if Dragon Man doesn't have it, you don't need it. 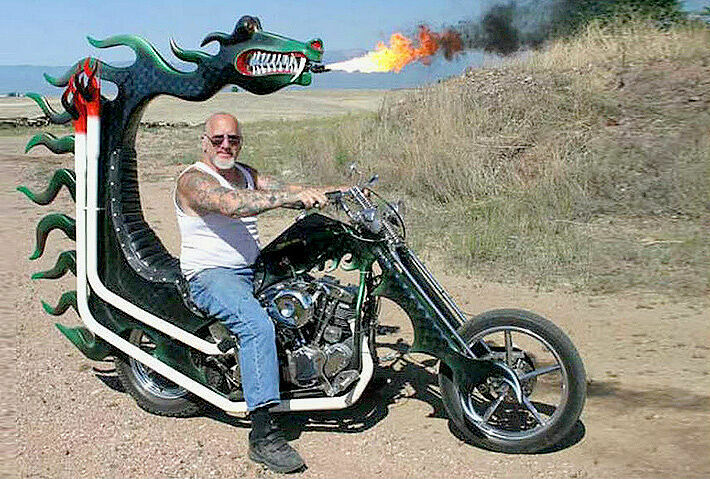 Dragon Man astride his flamethrower-rigged Harley Davidson. 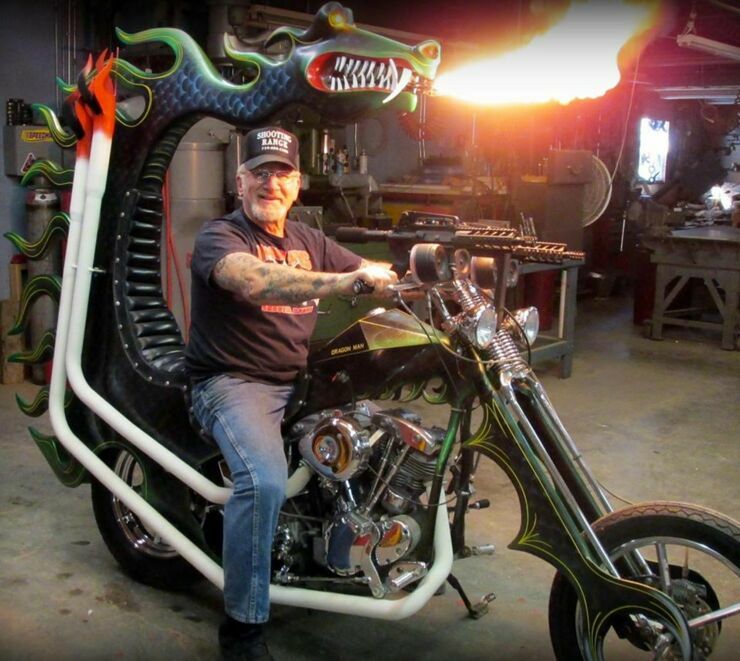 Dragon Man, who gets his name from the fire-breathing dragon head perched atop his Harley Davidson (which he rigged out with a flame thrower and twin sub-machine guns), grew up in Brooklyn working at his brother's motorcycle shop. At 18 he was drafted and stationed at Texas where he worked on weapons. After joining a biker gang, getting some tattoos (138 of them!) he met his future wife, Terry Flanell. It was with Terry that he moved to Colorado and in 1982 opened a gun store which would later become Dragon Land. In 2012 however there was a terrible accident while filming a show for the Discovery Channel, resulting in two smoke bombs hitting Terry and killing her. “I lost my best friend” Bernstein says. After that Dragon Man put all his attention into the museum which, as anyone can see from the video, is quite a feat. Mel Bernstein shows off and fires a few rounds on his firing range. 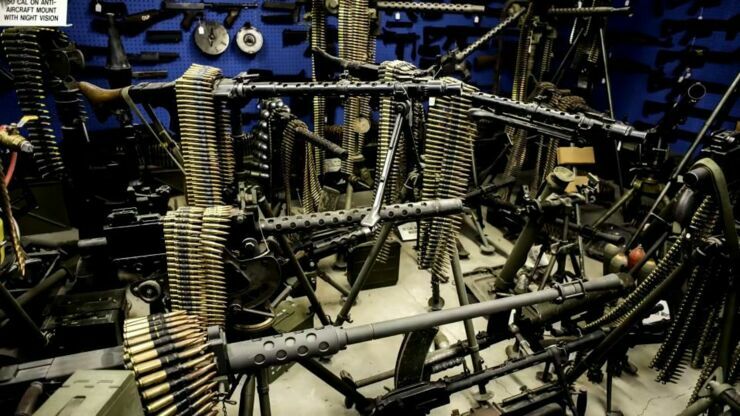 Bernstein has more than 200 machine guns in his amazing collection. 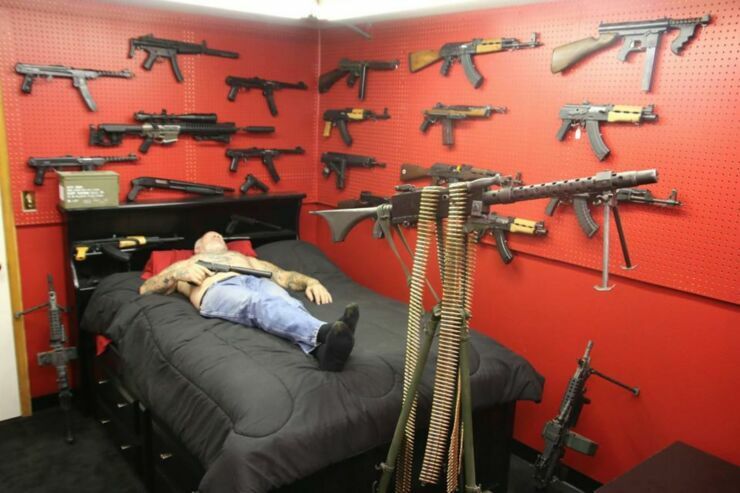 Dragon Man sleeps surrounded by machine guns mounted on his bedroom wall. There are over 88 vehicles in Dragon Man's military museum. Mel even has a store licensed to sell automatic weapon. His collection of weapons extends to samurai swords. There's enough artillery here to start a small war. 6The huge 5,000 square foot museum is in El Paso County, Colorado. Who wouldn't want a fire-breathing machine gun firing motorbike.